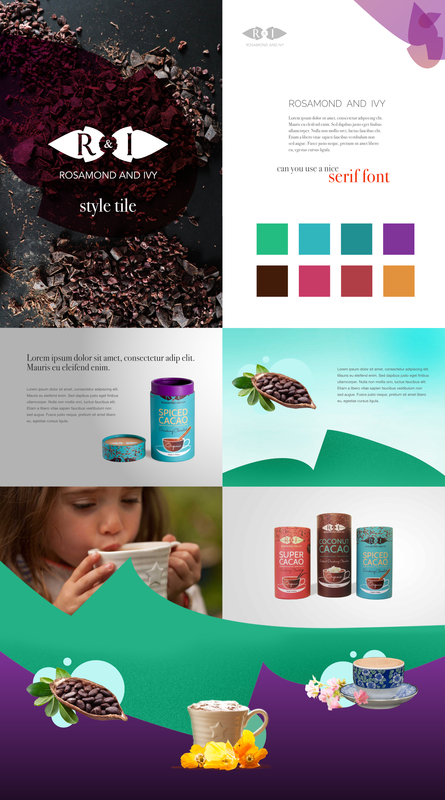 Starting from a set of packaging design made for this luxury cacao drink, I created some style tiles in order to develop a visual language I could take forward into the design and build of their company website. For this process the design work took only one more step from this style tile, which was a simple design concept that tied the visual style into a tangible page design. The rest of the design work was done in browser during the build process.